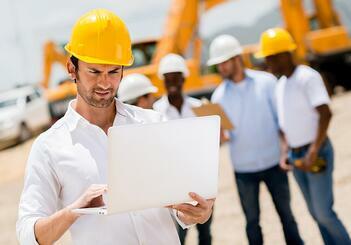 There are many compelling reasons to invest in Lean construction software. Companies that do so are able to reduce costs, improve safety, get projects done faster, and delight clients. But not every Lean construction software implementation is a success. Some organizations struggle with inadequate user adoption, poor data management, and other barriers to a smooth and effective solution roll out. We’ve helped tons of organizations implement improvement technology and can share the best practices we’ve uncovered. Software alone will not create the right environment for effective Lean practices. It exists in the context of the broader culture of the organization. Developing an improvement culture is particularly challenging in the construction industry because many different trades are involved, sub-contracting is common, and it is rare that everyone is in the same place at the same time. But that doesn’t mean that Lean culture can be ignored. It means that leaders must work diligently to communicate and demonstrate dedication to the methodology. People who engage in improvement must be widely acknowledged and the impact of improvement work should be shared with every member of the team. If your organization is new to Lean construction, you’ll need to have two major training goals. The first is to introduce the team to the Lean construction methodology. They should have exposure to the principles of Lean construction, along with examples of how it is implemented. They should understand the eight wastes of Lean and how they apply to the construction industry. The second objective is to help employees become familiar with the software solution and how it will be used in the organization. In addition to knowing how to use each feature, team members should have a clear understanding of what is expected of them and how their performance related to the solution will be evaluated. Speaking of performance evaluation, have a plan to assess each employee’s engagement with your solution and Lean in general. What measures will be used to monitor, coach, and measure the performance of each employee? How will managers be held accountable for their team’s engagement and results? How will the people who are most active be recognized and rewarded? The answers to all of these questions should be clear up front and communicated to the entire organization. It is kind of ironic, but too often people forget that their improvement programs and systems should be a target for improvement. The way you set up your Lean construction software system on day one, might not be the perfect fit for your organization, so don’t be hesitant to seek input from people about how it is configured and used. Be ready and willing to create new visual management boards, change up executive displays, and create new reports as needed. We are not at all surprised by the growing interest in Lean as a business methodology for construction companies. It just makes sense to focus on maximizing customer value and minimizing waste at every step from the drawing board to the job site. Lean construction software helps make those principles a reality by providing the foundation and structure for the effort. If you apply these best practices, you’ll put your team in the best position to have a successful, hassle-free implementation.